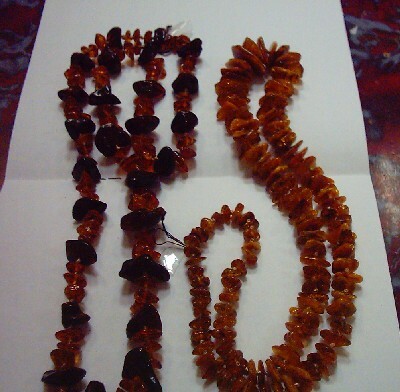 This is a beautifuly polished amber necklace. It is about 12.5" long. Please specify if you want the one on the left or the one on the right.